Spear Safaris, a hunting outfitter based in South Africa, offers one of the best Buffalo hunting areas in South Africa on a pristine 20 000 acre reserve bordering the Greater Kruger National Park. The Buffalo herds are naturally occurring and indigenous to the area. The old dagga bulls are a challenging yet thrilling quest. 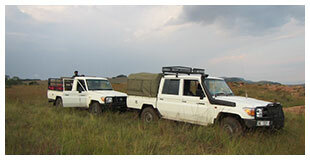 We pride ourselves on a 100% success rate on our Buffalo safaris since 1995. Spear Safaris also offer superb Plains Game hunting safaris on this 22 000 acre reserve in addition to our other concessions. The total hunting area is well in excess of 70 000 acres. We will tailor make your safari to ensure a complete bucket list of species sought. We also offer hunting in neighboring countries under the auspices of well-established Outfitters in those countries such as Zimbabwe, Mozambique, Tanzania, Benin and Cameroon. Spear Safaris, in partnership with our old friend Wayne Grant, bought out the Lwafi/Nkamba Game Reserve in central west Tanzania. This concession is one of the largest concessions in Tanzania and boasts around 2300 square miles. The area is bordered on the east by the Katavi National Park and Lake Tanganyika to the west. This Concession has been “resting” for the last 7 years, with none or very little hunting taking place. 2017 will be the first re-opening of the area. The concession presents some excellent, old Africa style hunting for of the Best Quality Lion, Leopard, Buffalo, Hippo, Croc and numerous Plains Game, including the sought after Sitatunga. Hunt-able numbers of Elephant also still exist. Hunting commences on 1 July where weather will be very pleasant, but could still be slightly wet with long grass. Tanzania, especially the West, is truly a wilderness experience! There are no resident people in the area, and the wildness is very apparent. Spear Safaris partnered with a resident from the Ivory coast, but someone with great Knowledge of Burkina and its people, to offer this unique hunting opportunity in the Presidential Park, Pama Central north. Previously the camp and Hunting area was reserved for the President and invited guests only. The area is exceptionally well managed, unlike so many of the areas in private hands. Quotas are small enough that over hunting does not happen and thus we can offer exceptional quality on the trophies there. 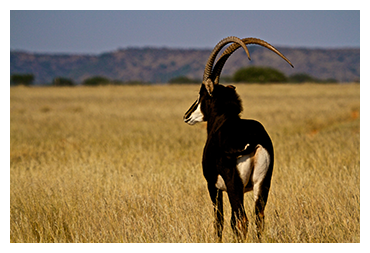 The most popular species in Burkina faso are the Western Savannah Buffalo and western Roan. Burkina also has unique species such as Cob, Hartebeest, Harness Bushbuck, Nagor Reedbuck. Most of the concessions have lots of Elephant, great numbers of Lion and Leopard. 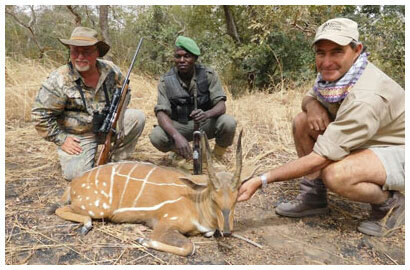 West Africa lies in the Northern hemisphere thus making the hunting season different to other southern african countries. Season starts in December and stretches to April. The most pleasant hunting months are january to 15 March, after which it becomes very hot. Hunting is by means of spot and stalk, tracking or just sneaking through the forests. Shooting from Vehicles are not permitted, neither is ambushing at waterholes. A game scout will be present at al times, during the hunt. The Presidential Palace, which serves as our camp, is very comfortable with Electricity and air-conditioning in the rooms, a pleasant relief in the latter months. 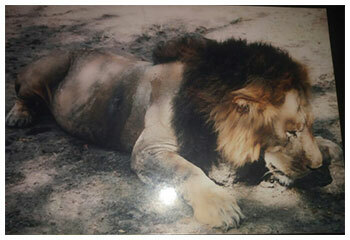 Camps are however not managed and run like Hunting destinations in South Africa and guests should be aware of this. The best means of travel to Burkina is through Paris with arrival in Ouagadougou in early evening. The first night is spent in a Non tourist but very comfortable Guest Hotel. The following day travel to camp is via road transfer and takes around 4 to 5 hours with a Lunch stop.